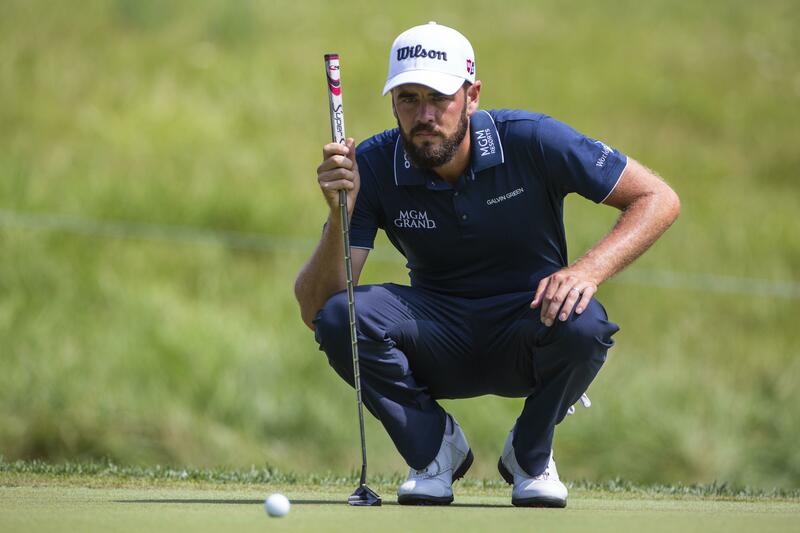 UPDATED: Fri., July 20, 2018, 5:04 p.m.
At Keene Trace Golf Club, Nicholasville, Ky.
NICHOLASVILLE, Ky. – Troy Merritt and Billy Horschel seized on the tight window of favorable weather to post impressive rounds before the sky eventually turned nasty. Merritt meanwhile had the clubhouse lead at 15 under, following an opening 62 with a 67. Horschel is two strokes back, following Thursday’s 65 with a 66. As those players rest and wait to see how the field comes together on Saturday – or if, considering more storms are forecast – Lincicome’s longshot quest to make the cut will draw the most attention. Lincicome shot a double-bogey 5 on No. 18 before a triple-bogey 6 on No. 7 – which ended up being the opening round’s toughest with an average score of 3.235. That stumble spoiled an otherwise solid front-nine effort highlighted by a birdie on the 408-yard, par 4 third hole. A day after tying a course record and posting the best opening round in the Barbasol Championship’s four-year history, he followed with another solid effort to remain atop the field. He strung together birdies on the first and second holes and again on the sixth and seventh. The ninth hole resulted in the first of two bogey-5s on par-4 holes – Merritt also bogeyed the 13th – but he offset those with birdies on the 10th, 15th and 17th holes. Published: July 20, 2018, 1:49 p.m. Updated: July 20, 2018, 5:04 p.m.